Held at the Country Club of Boyne, Harbor Springs, from 12-3pm, February 18, where there is plenty of beer to pair with the chili samples, this event draws Northern Michigan visitors, residents and Presidents' Weekend guests to the Harbor springs area. 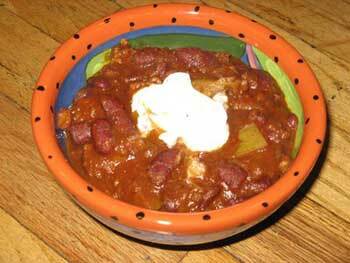 Chili connoisseurs can sample a variety of chili recipes ranging from warm to hot and meaty to veggie. Guests are encouraged to bring a food or paper item for the Harbor Springs Food Pantry. Admission is $12 and provides unlimited samples of fabulous chili. For a hot time in the cold Up North, don't miss the Harbor Springs Area Chamber of Commerce Chili Cook Off. Do you make a mean pot of chili? Bring it and compete for the top chili prize! Contact Boyne Highlands for information on competing.